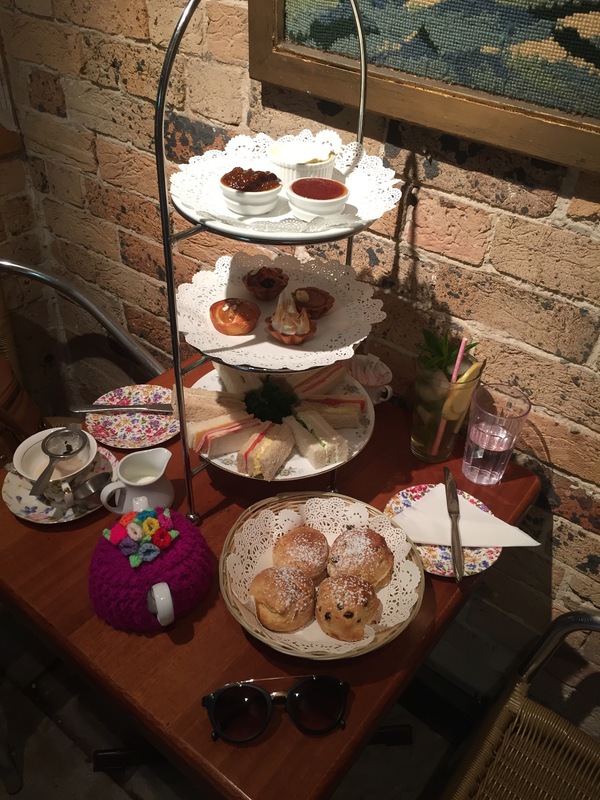 The Tea Cosy @ The Rocks, Sydney – PINKKLOVER. I especially loved to the way they decorated the place with teapots and spoons (wind chimes) hanging from the ceiling as well cups decorating the walls. The scones were fabulous. I especially love the fact that they were freshly made and you can definitely smell the proof of it as I walked into the cafe – very inviting and like its name, definitely cosy! The top tier was filled with their natural double thick cream, pear & vanilla and fig & ginger gourmet jam. The second tier was filled with desserts. 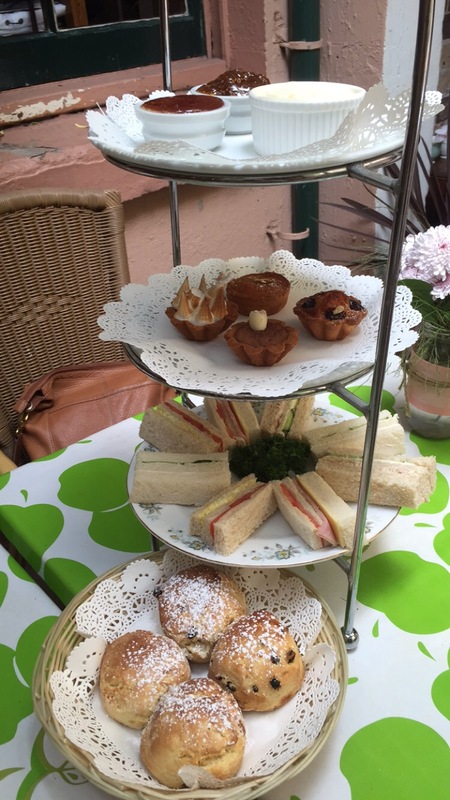 I was slightly disappointed that there weren’t a variety like other high tea places. Also, was definitely disappointed by some of them as they were too sweet. But one of them were particularly nice. The third tier was filled with ribbon sandwiches with four different flavours. Definitely gorgeous and yummy! 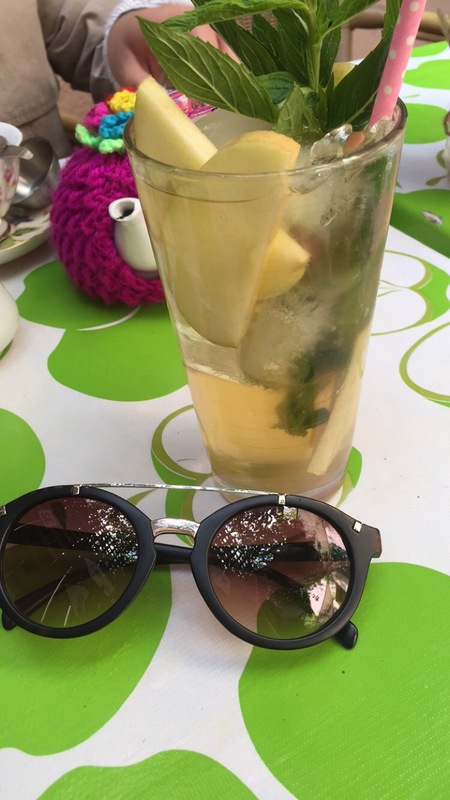 I ordered a lemongrass and ginger with apple iced tea as I was so intrigued by the fact they were homemade. Plus it looks so pretty! My friend ordered a creme brûlée black tea. 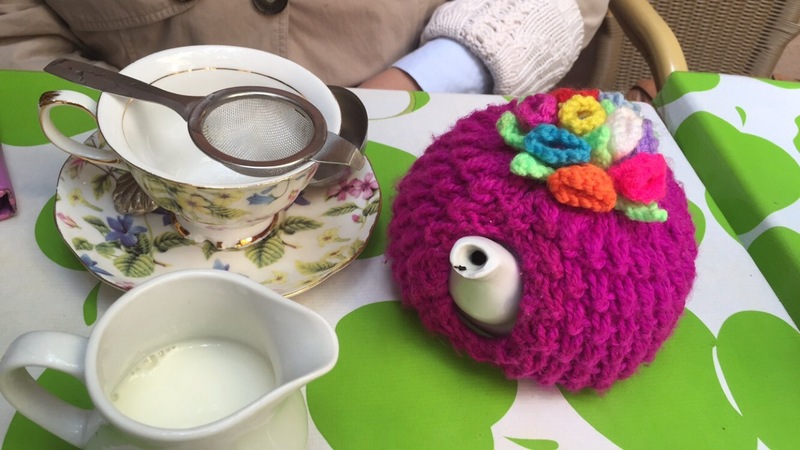 Both of us were so astounded at the cute teapot cover (which can be sold at the Celtic shop)! There was even a pineapple version! 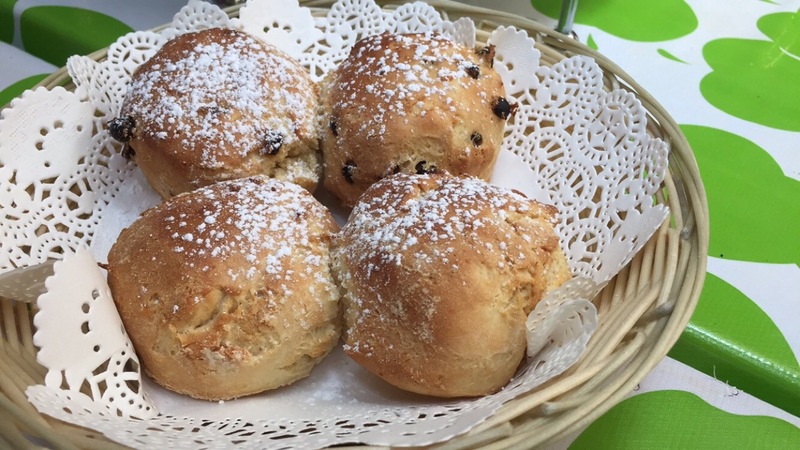 love their scones, always so light and fluffy! will def have to make a return visit!